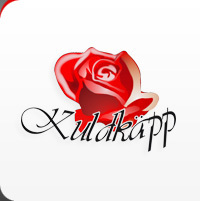 Kuldkäpp Ltd is a firm founded by private capital. Our main occupation is producing cake decorations and figurines of marzipan. The firm started business in 2005. At present, the firm is housed on new premises of modern design, completed in 2007. We sell our production in Norway, Sweden and Estonia. Our aim is to offer our customers handmade cake decorations and confectionery of highest quality. Kuldkäpp Ltd has been acknowledged by the Estonian Veterinary and Food Board (VFB).